The first hop of the year!! !Welcome 2019 Just look for the highlighted name at the bottom of this post and click on it, you will be taken to the next creative, talented artist in this group. Follow the blogs until you get back to where you started and enjoy. 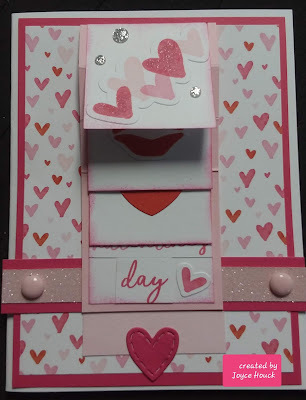 I would like to share with you a waterfall card that I made using the Heart Happy special paper. 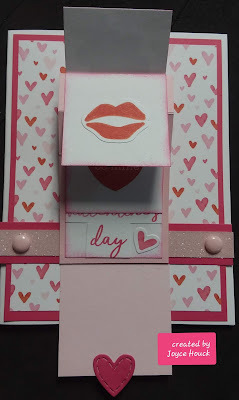 To see more or this special paper, stamp and compliments look up at the top of my blog or go to CTMH website. I used the stickers for this card CC2192 $3.95 Made this so easy. With plenty of stickers left for other projects. The paper is great for any Valentine project, such as scrapbooking, cards, treat boxes, tags,etc. 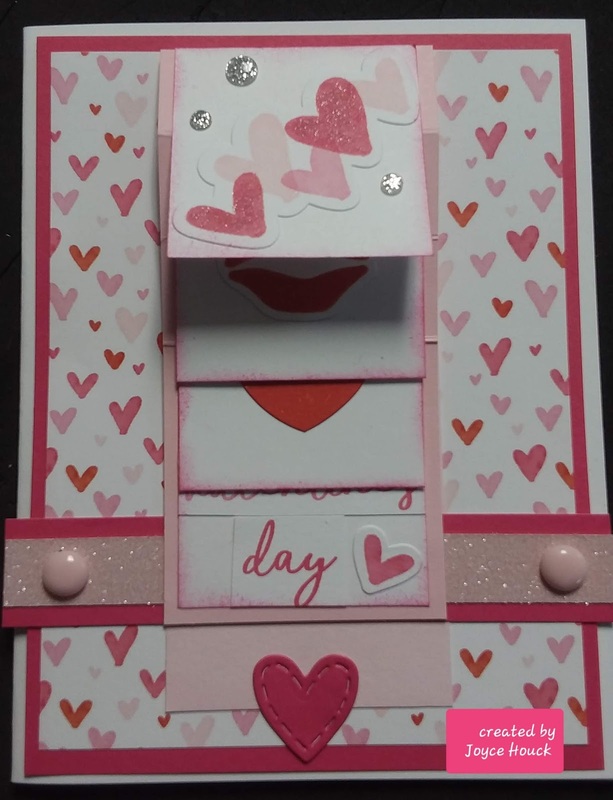 I used the small stitched heart for the bottom heart to pull the card open. 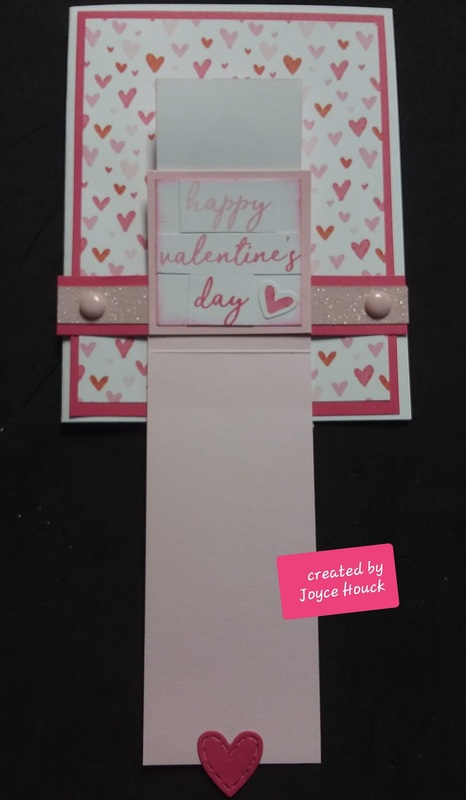 Cut a strip 2 x 9 and score it at 2, 2 1/2, 3 1/4, 4"
Cut a strip that is 3/4" x 4 1/4 and top that with a 1/2" pc or Shimmer trim or paper. Place the strip about 1" from the bottom, just fasten it on either side, I like to staple it. Don't glue the middle. Cut 4 pcs of white cs 1 3/4" square. 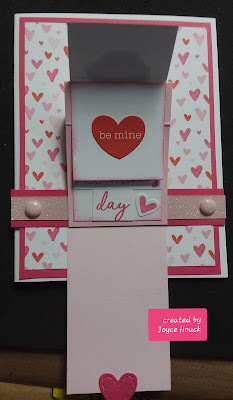 Place the first square on the 2" square and glue. place the next square on the 1/2" scored section, over top of the 2"square. Continue until all four sqaures are in place. Place the long section of the scored strip under the 3/4" strip. Glue the bottom of the 2" square to the 3/4" strip. That is the only thing that holds the waterfall strip in place. Glue the heart at the bottom to help pull the strip down. Here is a list of bloggers in case you get lost.